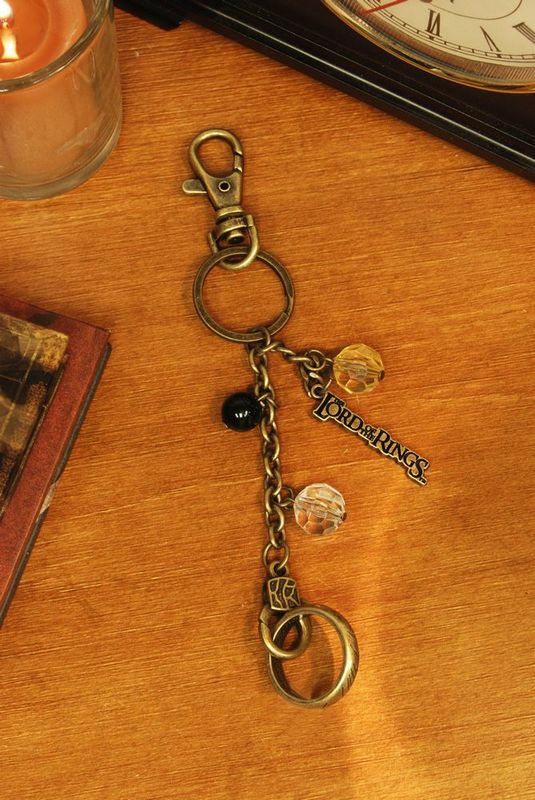 This wearable replica of the One Ring hangs at the end of a Lord of the Rings bag clip, and can be easily removed when you need to wield its terrible power. Inscribed inside and out with Elvish writing. 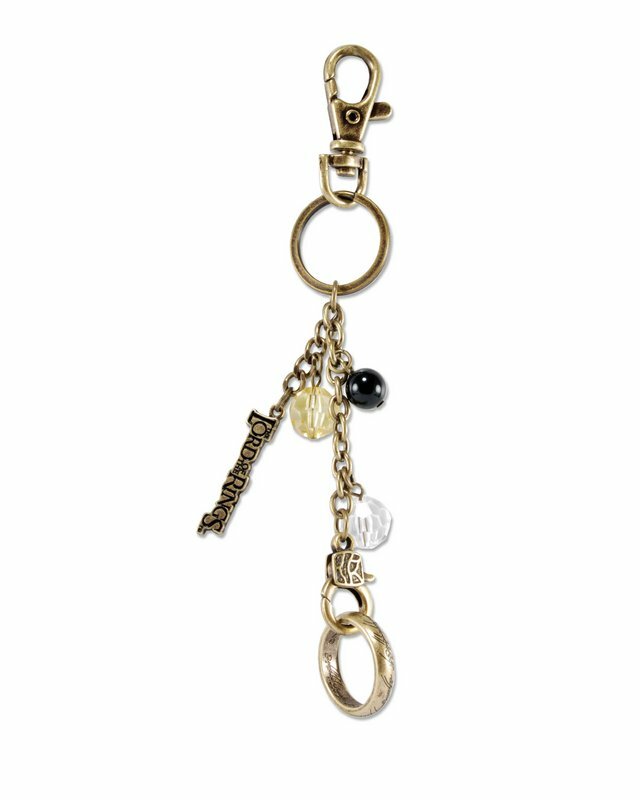 Brass-tone bag clip features a Lord of the Rings logo and beads, and is about 6″ long. Size 9 ring.